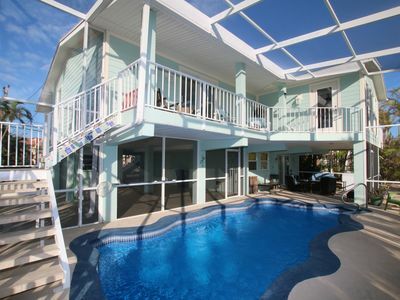 Unobstructed Views and Directly On the Beach! 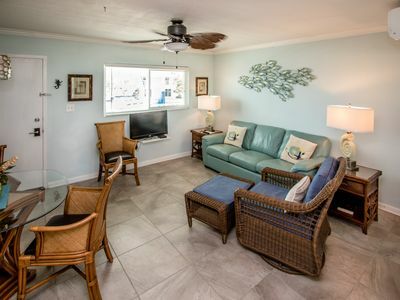 Beachside Villa is a beautiful condominium that is located right on the beach on Coco Plum. 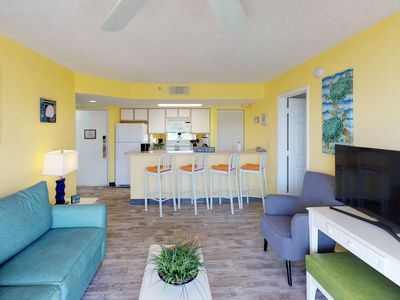 The condominium is part of a 16-unit complex known as Coco Plum Beach Villas at mile marker 54 off the east side of Marathon, ocean side. The mile long beach is known for its ecological natural habitat and turtle activity. Marathon's central location is convenient and has it all - two full-size grocery stores, an airport, plenty of shopping, and many great restaurants to choose from just a couple of miles away. 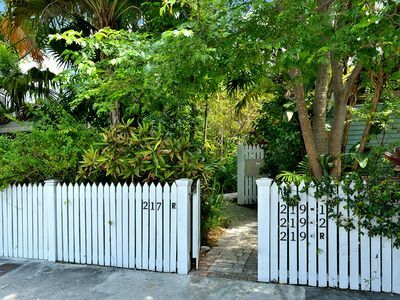 A day trip to Key West is only one hour, or 45 miles, with many great stops along the way. 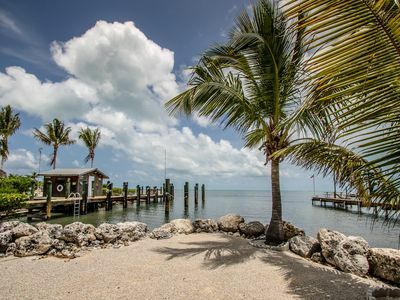 Islamorada, which has many attractions, is also the location for one of the two 'swimming with the dolphins' destinations-and is just 20 minutes away going east. 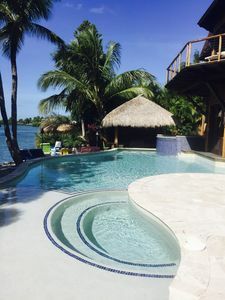 The second swimming with the dolphins location is just three miles away on Grassy Key. From the moment you walk into the condominium, you enjoy panoramic views of teal- and indigo-colored waters that are mesmerizing. The screened-in porch provides a lovely private area to enjoy your morning coffee, read that book you wanted to for so long, or that tropical drink in the afternoon. 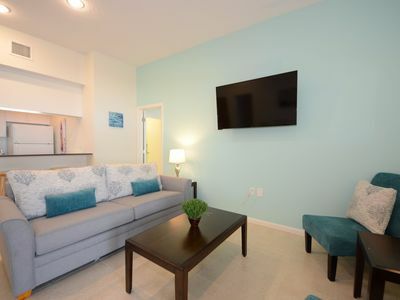 Inside the condominium there is a large, master bedroom with its own full bath and king-size bed. With the windows open, you can hear the water lapping you to sleep at night and smell the fresh sea air. There is also a roomy second bedroom with two twins, and another full bath in the hall. The kitchen has a new stainless steel dishwasher and stove and it is well stocked for all your culinary needs. 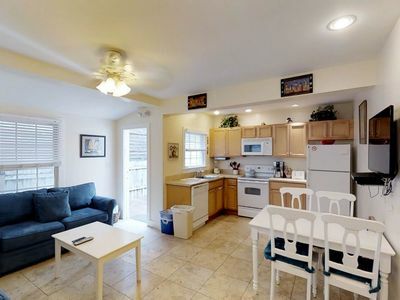 There is also a washer and dryer, and storage closet. 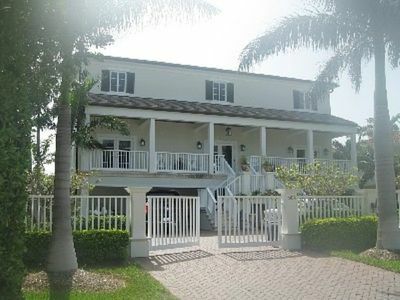 Custom Built Luxury Home on Canal; Walk to Beach; Close to Everything! 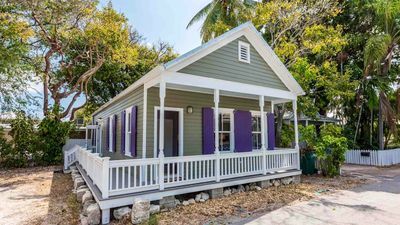 Rest-A-Shore🧜 Waterfront Home, Screened-in Private Pool, Near Sombrero Beach! 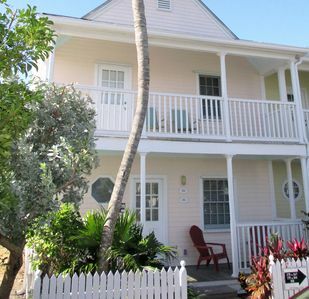 Dog-friendly condo in prime location - walk to dining & sights, near the beach!